As an attorney and pet-sitter in L.A., Kendra Ballantyne, Esq., has met more than her share of difficult pets and people. But when some arrogant cloners cross her path, she meets a whole new breed whose perilous business is playing God. It's been a rough month for Kendra. Her boyfriend and sidekick, Jeff Hubbard, P.I., has gone missing—right after they decided to move in together. It sounds like a case of cold feet until they find his car, submerged and bloody, in a canal. 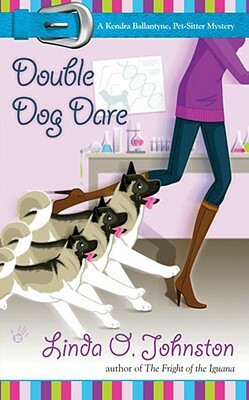 Kendra's panicked inquiries lead her to Jeff's Aunt Lois, an ex-pole dancer and full-time eccentric, who had taken her dog Flisa, a sweet-natured Akita mix, to a company that promised to clone the pup. But poor Flisa never made it out alive. And then, one of the cloners is murdered. As Kendra picks up the scent of Jeff’s investigation, she wonders: Was Jeff kidnapped? If not, why hasn't he contacted her? Is he protecting his revenge-driven aunt? Or worse...could he be the killer? Kendra is hounded by questions, and for the first time, she's not sure she wants the answers.